Olympian Bruce Jenner has been in the news a lot recently because of rumors that the reality star is transgender. This news hasn't been confirmed by Jenner himself, or anyone for that matter, until now. 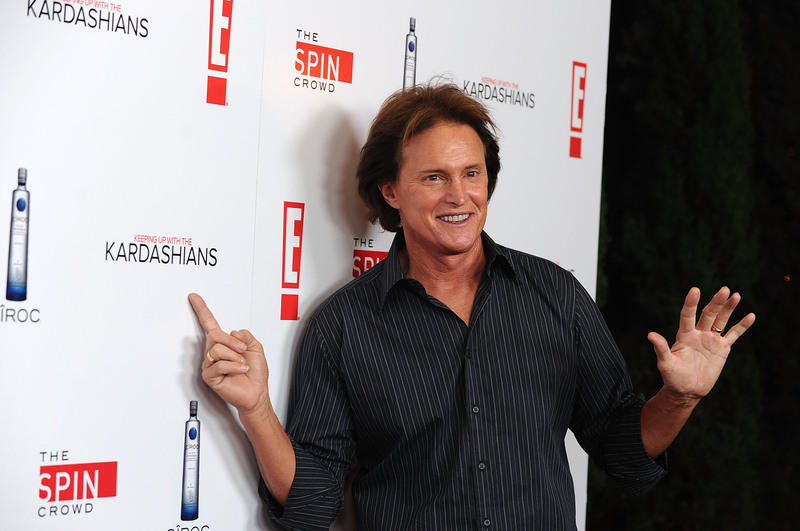 According to an interview on Radar Online, Bruce Jenner's mother Esther Jenner has confirmed that Bruce is transgender. Esther sounds completely supportive of Bruce, which is great to hear, but still, until we hear the words from Bruce's own mouth, we won't really know the truth (and until Bruce himself has made his intentions known, we will continue referring to Jenner using male pronouns). According to Radar, Esther said, "I just learned about [his transition]. Bruce filled me in, and we had a very long, long, long talk about it." While it's unclear what words Esther used instead of "his transition," it sounds like she will support and love her child no matter what. She goes on to say, "Right now I am more proud of him for what he’s allowing himself to do. I am more proud of him now than when he stood on that podium and put the gold medal around his neck. He deserves all the respect." Agreed. Regardless of what Bruce's situation may be, respect is an important thing to keep in mind here. I love him, no matter what. I’ve brought this up to him on the phone when we’ve talked and he says, "Mom, you can’t believe this stuff." And I said, “Well, I want to tell you one thing, Bruce…[if] it’s true or false, it’s not going to change my love for you,” and it’s true, that’s exactly how I feel. While Esther didn't confirm or deny the rumors at that time, her love for Bruce remained clear. It's been reported that Bruce will come out publicly in an interview with Diane Sawyer. It's also been rumored that he is taping a docu-series about his transition that will air on E!. Again, and not to discount Esther's words, but until Bruce speaks about things himself, we'll never know the whole truth. In the meantime, it's just great to hear that his family is supporting him. Editors Note: Until/unless Jenner has personally confirmed the transgender rumors and the intention to begin presenting as a woman, Bustle will continue to refer to the track star as a man and father, using male pronouns. Jenner deserves the courtesy of being able to "tell his story his way" when ready, as step-daughter Kim said, and Bustle will only make those changes if/when Jenner confirms.